Buzinet built an app for the Nokia N Series mobile phones, as a sub contractor, that was used by conference staff to gather contact details from conference goers. 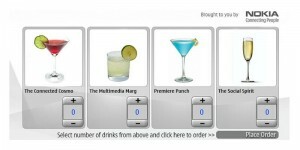 Buzinet built an interactive drinks ordering system for the Nokia N800 as a sub contractor. 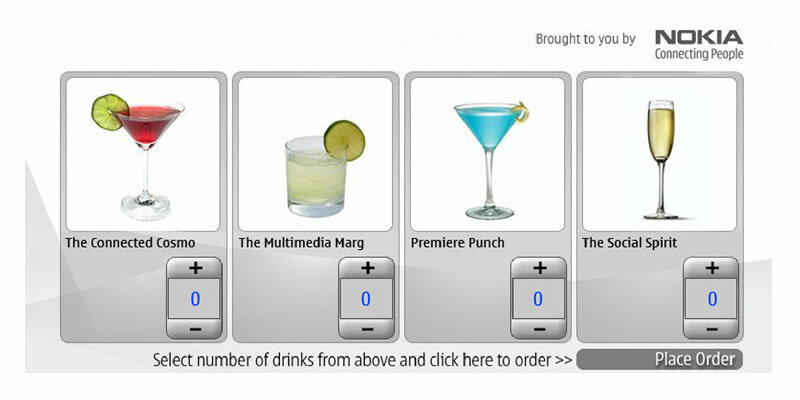 To demonstrate the N800 Buzinet created a software system that allows multiple tables to order a variety of cocktails, each order is logged in a database and delivered to the barman who then manages the orders and who has been served from a seperate console.